Black Plastic Knob with Yellow Insert & White Pointer. Black plastic 15mm. Knob for 6.0mm Spindle. Grub screw. Black plastic 20mm. Knob for 6.0mm Spindle. Grub screw. Easy to use battery tester with an easy-to-read, accurate needle display. Tests for most batteries inc button cells. Why throw away good batteries? This module uses a 30 position rotary encoder with push switch. The rotary encoder works by having 2 switches (A&B) for each position that are slightly offset, indicating the direction of rotation by detecting if "A" switches before or after "B". This micro servo is the most popular 9g servo in the world, it is used for RC models, robotics and has many other uses. It is compatible with Arduino and other microcontroler projects. Supplied with 3 different servo horns and fixing screws. This module has a DHT11digital temperature and humidity sensor and a resistor. 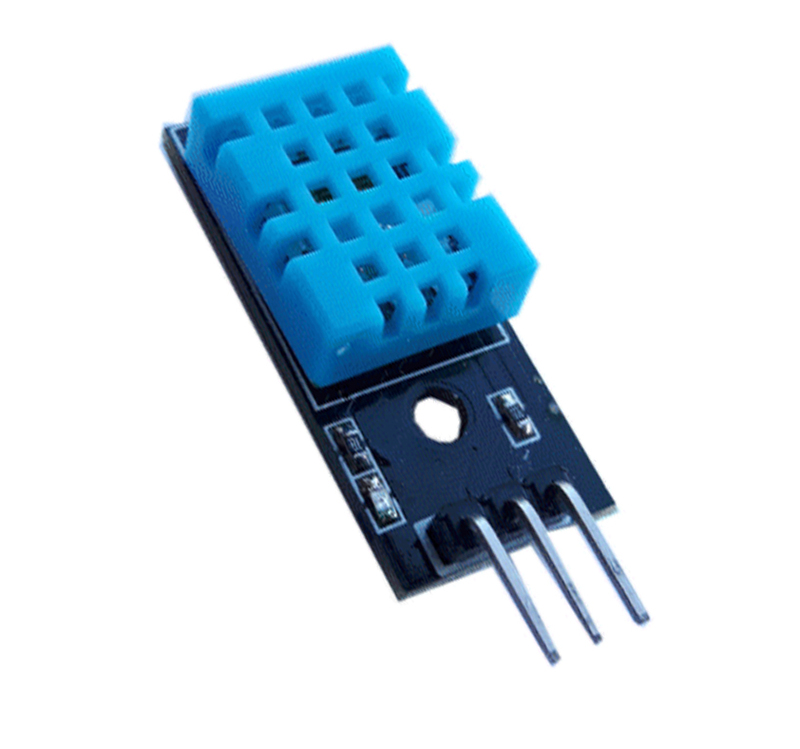 The DHT11 uses a thermister for the temperature sensing and a capacitive humidity sensor along with an internal IC to give a digital output with both temperature and humidity.